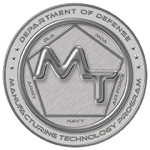 This new DoD document discusses manufacturing and quality Activities by acquisition phase, and is listed below with comment guidelines and an associated Comment Resolution Matrix (CRM) form. Request reviewers provide input by submitting specific comments and rationale using the Comment Resolution Matrix form DD Form 818-1 (below). Indicate page number and line number, and please focus on recommended improvements to content such as corrections/updates tasks, metrics and references/tools. Administrative (grammar, readability etc.) comments can also be submitted. providing the updated references and tools which comprise the MRL Body of Knowledge.